Welcome to Linda Ikeji's Blog: Guess who? There's a famous dude in this pic. Can you guess who it is? BANKY W.. in da building!!!!!! It's Banky W, isn't it? 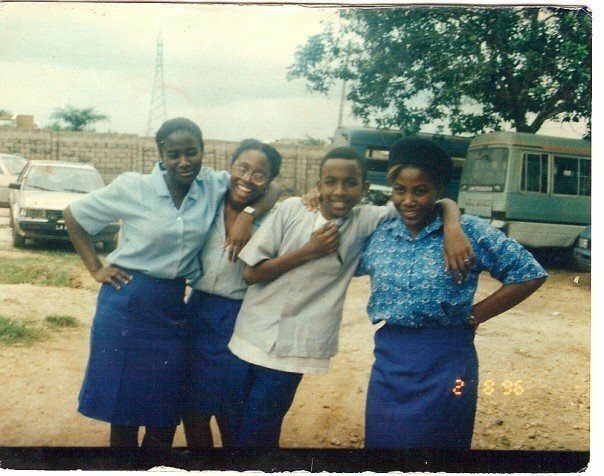 Banky W. I only know cos we were in primary school together and he looks the same as he did then. He's leaning on his knees in the middle of the first picture! It looks like Banky W! Olubankole Wellington aka Banky W! 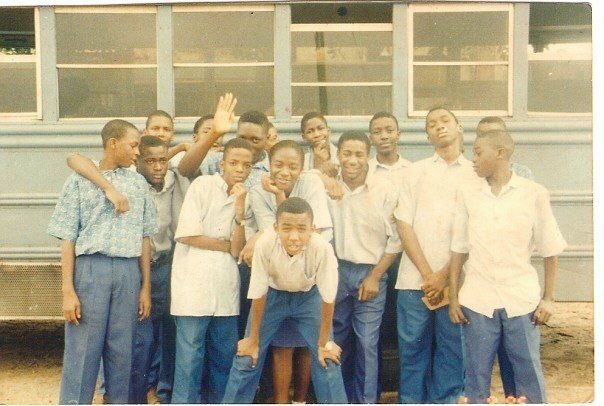 Banky W at Home Science Association Secondary School, Alakuko. He was my senior. Banky W...see the mouth..haha! he looked good..still looks good now but his beard is just annoying...aaargh!!! LOL. Ofcourse dis is our own Mr Capable. Dude was obviosly capable of handling dem chick right from young. Banky Double U in da building!!! Banky W? Looks like him. isn't that banky double u with hair? I'm guessing its Banky W.
Its our very own Banky W.
Oh Linda who’s the guy? Am curious to find out. Hey its Banky W. cool guy. There is a sign in d pics even at dat young age dat d hair will get bald. I never thought I will start wearing glasses. How come none of the kids look like him to me. Which one? front, back or side?